Baseball standout Ryan Morash '18 logged his 100th career hit yesterday in an 8-1 victory over Manville. Garnering 100 career hits is an impressive milestone for any high school player, but to accomplish it in his junior season is particularly notable. 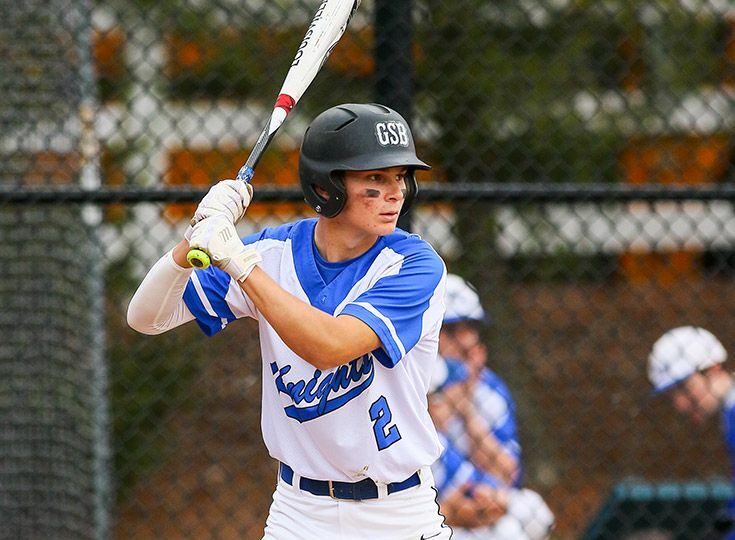 Morash has helped lead Gill baseball to two consecutive Mountain Division championships and was a key member of last year's team, which reached the NJSIAA sectional finals for the first time in school history. This year, he is leading the Knights in hitting (31-for-63, .492) and the team is currently tied for first place in the division and looks forward to another successful state tournament run.